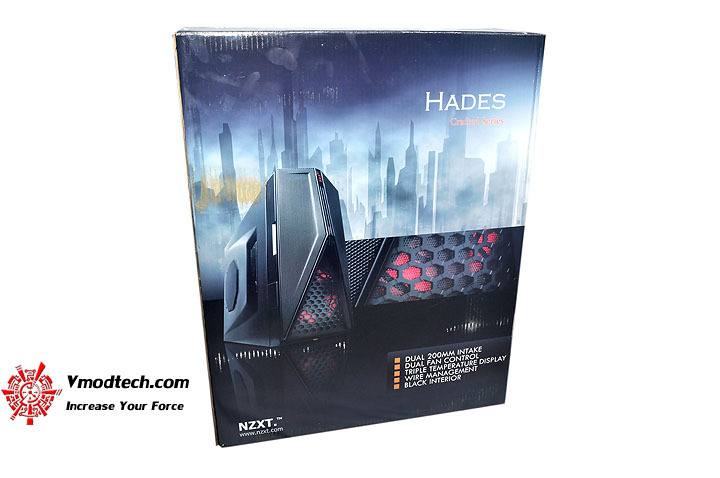 Introducing the Hades, a chassis that provides an array of advanced features for the most demanding PC enthusiast. Airflow is optimized with 5 fans(dual 200mm intake, 200 mm front fan, dual top 140mm fans, side 200mm fan, and rear 120mm exhaust). NZXT includes all the fans with the exception of the top 140mm and also provides a dual fan 8W per channel controller giving enthusiasts freedom to manage intake and exhaust airflow. A three temperature display on the front panel allows the user to see the temperature inside the chassis even when the door is closed. Additionally, the meshed 5.25″ bays, door, and bottom panel allows for air to naturally flow into the system with ease. Hades also boasts premium expandability with up to nine 5.25″ bay setup or five 5.25″ and four 3.5.” It also features VGA clearance room for 300mm cards like the new ATI 5970. 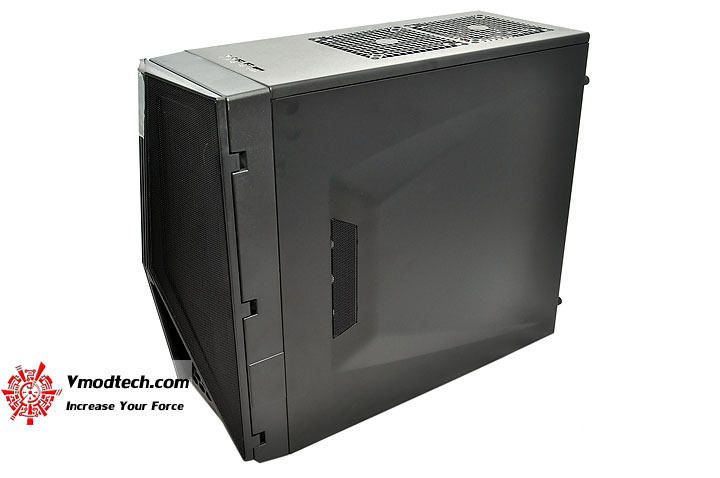 The punched side panel and motherboard tray with rubber grommets on the motherboard routing holes enables advanced wire management and quick CPU bracket removal. 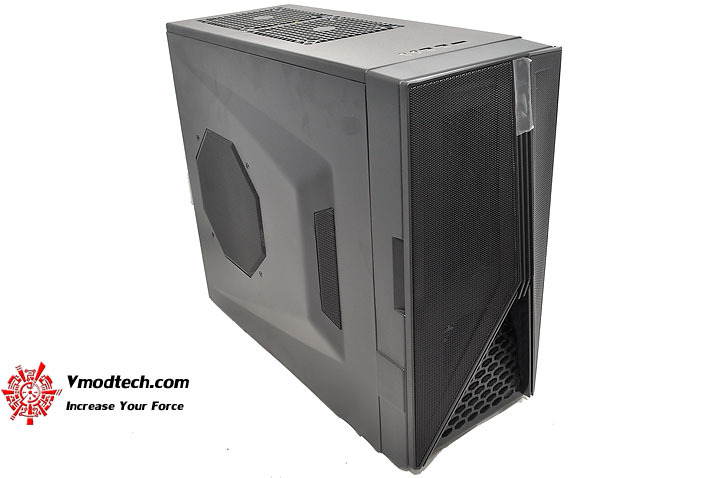 Additional advanced features include a solid state bracket allowing for two SSD drives, pre-drilled water cooling holes on the backplate, mounting holes for a dual radiator at the top, and a removable filter at the bottom PSU.